On the eleventh day we ventured away from Galway on what would end up being an epic journey to Dingle. We were following (in reverse) the ghosts of my other brother who had also left the wedding to do a little southern travel, but who was leaving for the States a few days earlier than us. They highly recommended the Cliffs of Moher and in that travel-induced excitement that one gets ("we might never be here again!!") we subjected ourselves to a whirl-wind tour of part of Clare County's vivacious and breath-taking coast. 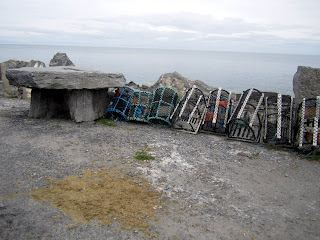 As we headed away from Galway and into the Burren, the dramatic cliffs on our right tumbled into Galway Bay. It was breathtaking and only a hint of what was to come in the days ahead. I was a bit disturbed to see cars parked on the left hand side of the already not-very-wide road and wondered what people were doing. Here's a photo of the fishermen on the cliffs. We didn't have time to stop and explore the Burren, to my great chagrin. Nor did I get any pictures for you, but please check out the link above. This part of the country is incredibly stark, and intimidating and even a bit ghostly. The guidebooks use words like "the moon" or "moonrocks" and that is also an apt way to describe these limestone hills that cover the region. 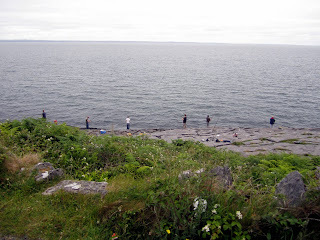 Throughout Ireland there are "ways" or long hikes through regions and the Burren was no different. 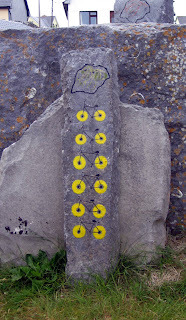 There were maps for great walks through the Burren. The area is a "karst" landscape shaped by the dissolution of a layer or layers of soluble bedrock, usually carbonate rock such as limestone or dolomite. 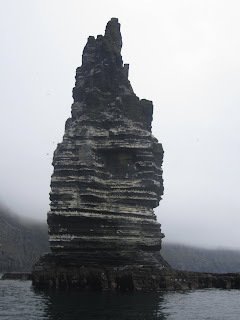 I put exploration of this area, with its ancient stone monuments and subterranean caves on my "to-do list" for the next time I am in Western Ireland. 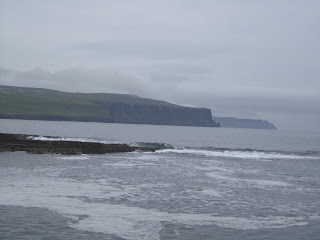 We were heading toward a little town called Doolin which we heard was a great town to visit, have a pint at O'Connor's Pub, and get a boat tour of the Cliffs of Moher. My brother and his wife had recommended the boat tour of the cliffs and we jumped on the idea. 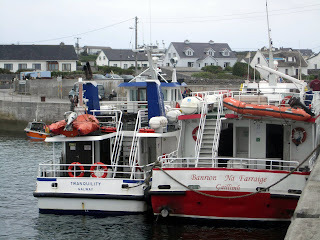 While in Galway, we explored the idea of taking a ship out to visit one of the Aran Islands, in particular Inishmore. 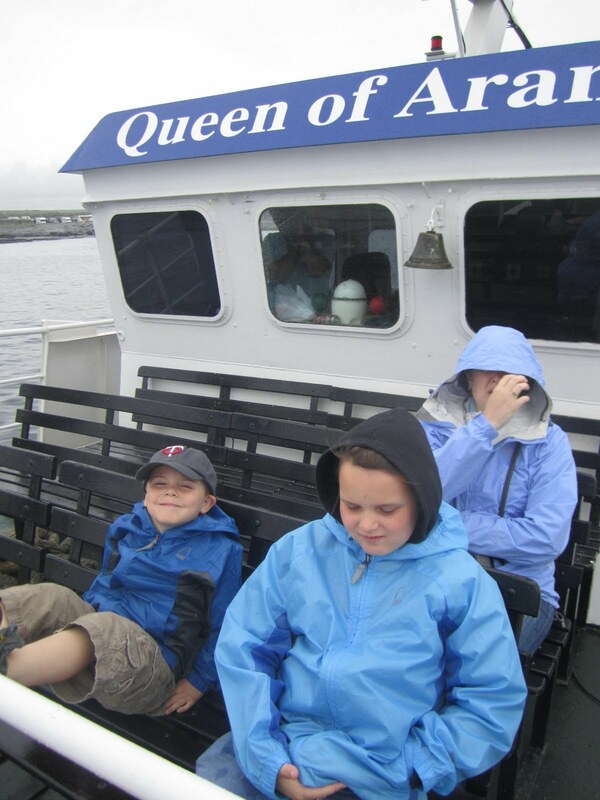 We thought the kids would get a kick out of the boat ride and there is an incredible stone fort, Dun Aengus, at its western edge. The fort consists of three irregular semicircles, each a line of defense. Aside from the walls, one mode of defense is a band of stones set in the ground. Called a chevaux-de-frise, the stones are closely packed, set at an angle and intended to thwart an attack up the slope. And the view from the top of the parapet is supposedly stunning. "To the west is the expanse of the ocean to the horizon and 3000 miles beyond to North America. 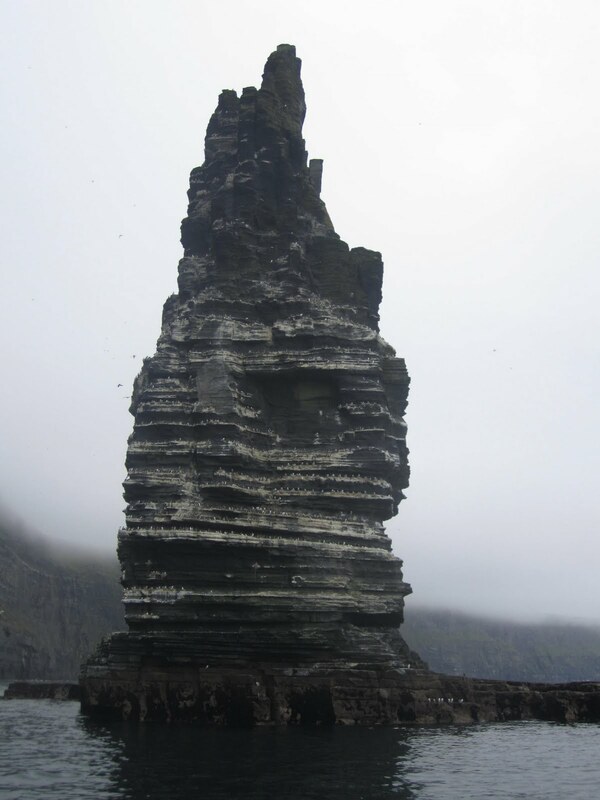 To the east is a moonscape, the rock strewn slope the walker must traverse and beyond, the openness of Inishmore and the stones of Aran everywhere." But we were WAY to afraid to go. Check out Rick Steve's pictures of people hanging over the cliff to get a good look at the scenery. With Big being, well, a spaz, and Ten being well, klutzy, and Ireland being, well, accident-prevention-challenged, we figured we couldn't afford to loose either of them. "From the car park and visitor center a stone walkway leads out to the cliffs, where you can continue on a short walk pretty darn near the edge, looking south to the cliffs themselves and out at the glittering sea. 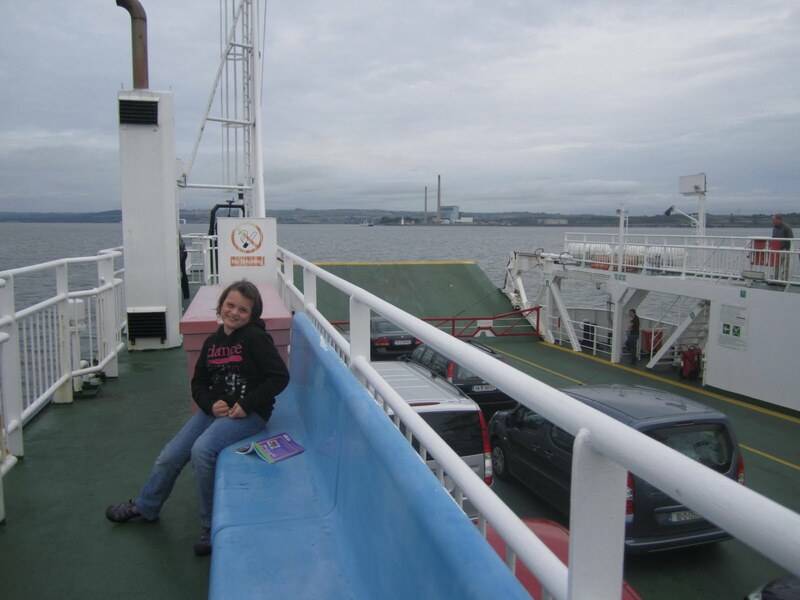 It's not wise to hop the railings, as tourists have been blown off the edge." Yes. That read TOURISTS HAVE BEEN BLOWN OFF THE EDGE!!! 1. The Cliffs of Moher are The Cliffs of Insanity from the movie The Princess Bride. 2. The same writer made the following comment: Nowadays you CAN reach the edge if you climb over some of the obstacles they have put up to stop you. You can also be blown off of them or have the ground crumble beneath your feet, plunging you a thousand feet to your death on the rocks below where other tourists will be able to take snapshots of your corpse for a few days. 3. I can't get a straight answer about how many people have actually been blown off. Apparently Ireland doesn't keep records of such tragedies. 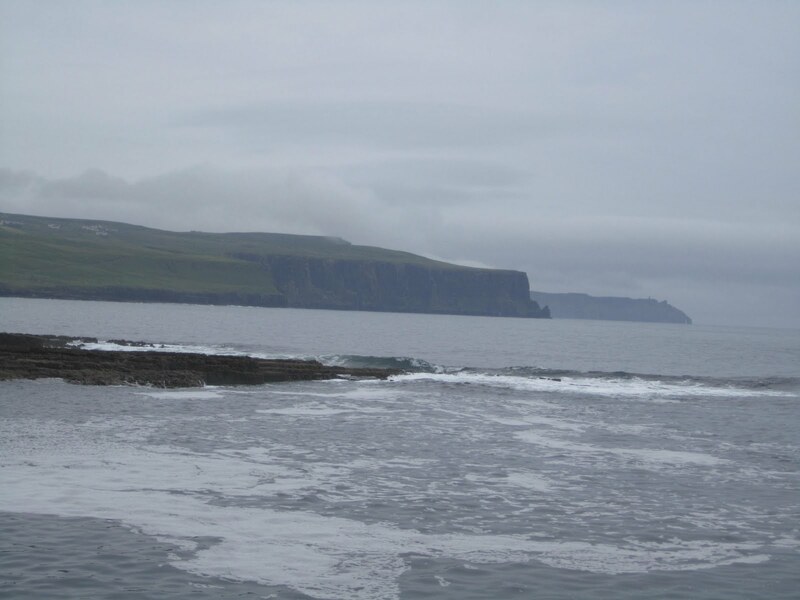 Having said all of this, we head to the pier from Doolin to explore the possibility of seeing the cliffs from below. A ship captain lets us know that despite the fact that we just missed one tour of the cliffs and would have to wait a couple of hours for the next one, he could get is on a boat "right away"! 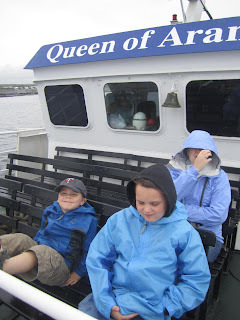 This was the worst weather day we had had (and would ever have in Ireland), so we went back to grab our raincoats and water, and were told to meet at the boat. It wasn't until it was departing that the captain told us that our tour of the cliffs would begin AFTER we had toured Inisheer Island and then boarded a different boat, Tranquility, from the island. Normally we would have thought no big deal. But with Big, we knew we had limited time and energy on a cramped little boat looking at extraordinary scenery. * So we felt a bit bamboozled but tried to make up for it by enjoying a short hike around Inisheer and an ice cream. 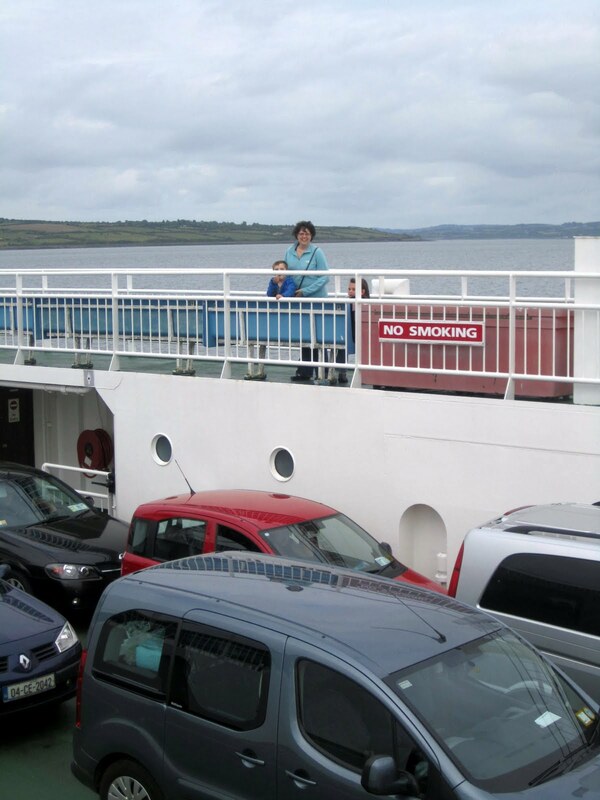 After the island we headed toward the Cliffs of Moher. They rose out of the Atlantic and on this particular day had a halo of clouds covering their green tops. It was haunting. 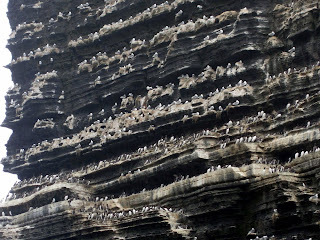 But most haunting of all was one particular jagged protrusion that was home to thousands of birds. 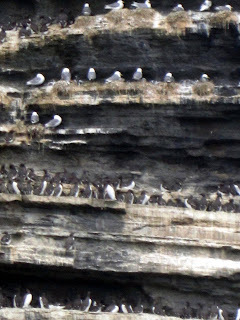 According to Wikipeda "there are many animals living on the cliffs. Most of these are birds, with an estimated 30,000 birds from 29 species. 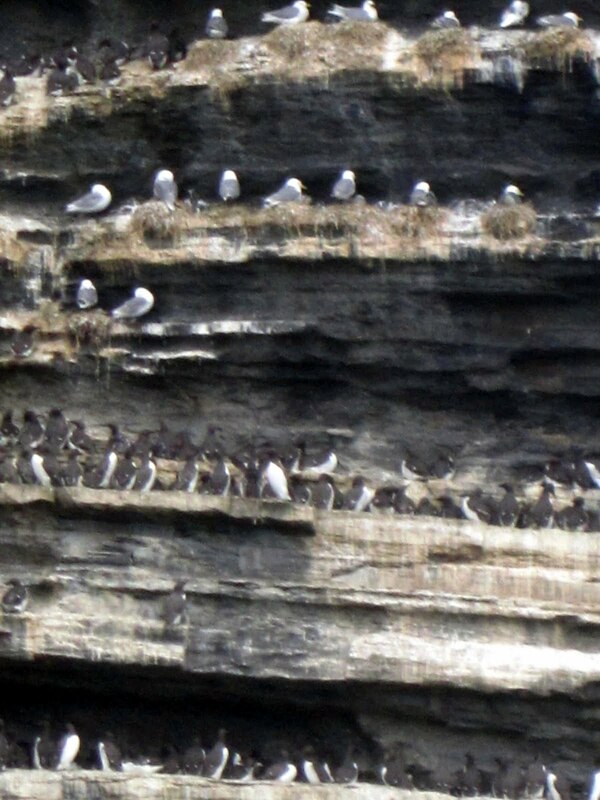 These include the noted Atlantic Puffins, which live in large colonies at isolated parts of the cliffs and on the small Goat Island. 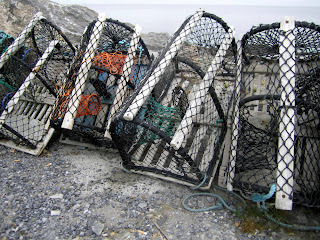 Also present are hawks, gulls, guillemots, shags, ravens and choughs." Here are a few pictures. I tried to get some close-ups of the birds as well as a video to capture the sights and sounds, but the boat motor is basically all that you can hear. 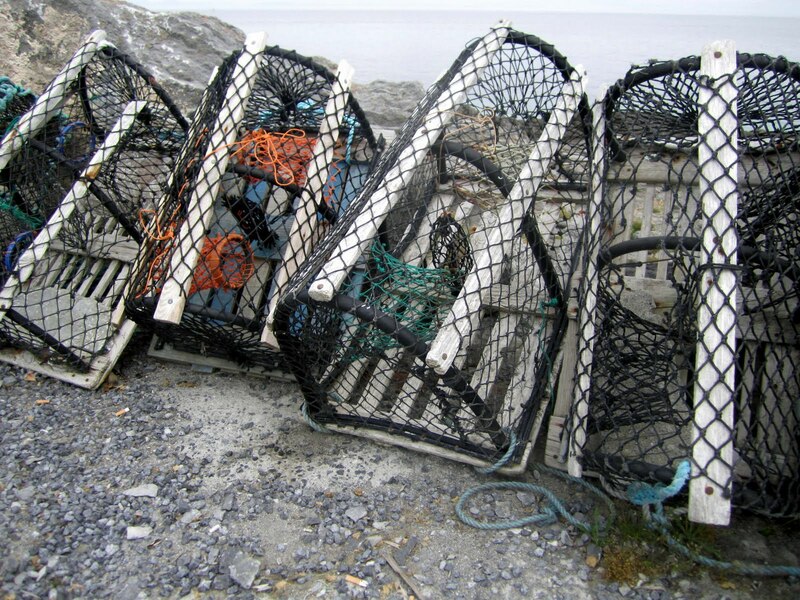 Needless to say, the white strips on the outcropping are not a natural phenomenon. 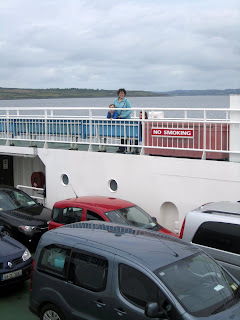 and then to skedaddle down to a coastal town near Kilrush where we thankfully caught a ferry and saved a few hours to get to our destiny: Dingle. *At one point on the trip (we happened to be at the Westernmost part of Europe on the Dingle peninsula looking over the most extraordinary cliffs and beaches that you'll ever see), Ten breaks away from the Nintendo DS to tell us that she's "sick of hearing that she'll never see 'fill in the blank' again!" My brother and I cycled the Burren and then back down the coast. It's definitely worth another visit! Hey there... I just got caught up on your trip. Looks like you had an amazing time. The Dingle area was one of my favorite parts too. How fun to be there with the kids. I went pre-kids and pre-marriage. Your trip is going to be a fantastic piece of their childhood memory bank.